Jurmala - wonderful city. Jurmala looks like one big museum or dolly town due to its unique wooden architecture. Outwardly it seems that time was stopped in Jurmala more than 100 years ago. Everywhere you feel peaceable nature of century baltic resort. Traditions of resort history, art and culture save and show special charm of seaside. And exactly Jurmala museums link us with the way of life of residents and Jurmala's guests of resort town in past centuries. Visit the city museums in Jurmala, memorial villas and exhibition halls to get a complete notion about our unique Jurmala. The museum was established in 1970 as a folk museum of fishermen collective farm. Authentic fishermen farms with their characteristic buildings of 19th to 20th century are located there; they have been brought here for different parts of the city and contain living house, barn, net sheds, and fish smoking house, bath and several other constructions. A collection of boats, anchors, as well as biggest collection of ropes in Latvia can also be found in the museum. Group visitors can book excursions with rope stranding, tieing sea knots, patching nets, degustations of smoked fish with participation of Latvian tradition groups. There is a special program for newly married couples. The museum is located in Ragakapa Nature Park’s territory. Museum has a lot of exhibits that tell about life in the resort from the beginning of the 19th century till nowadays, widest collection of swimsuits in Latvia, old postcards of Jurmala, works of famous artists, pieces of underwater archaeology, as well as souvenir shop. 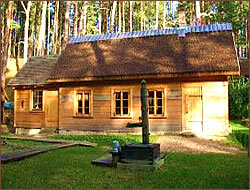 Since 2008 the museum offers permanent exposition “History of Rigas Jurmala and Kemeri resorts”. The exposition shows important milestones of city’s development: photos, documental and household objects. 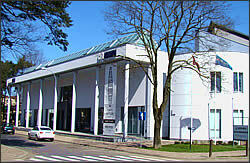 Museum was renovated in 2004 and also offers to have a rest in a cosy cafe. Until 1967 an orthodox church was here, after it was taken down a Dzintari exhibition hall was established in its place. It now offers to see old cars and motorcycles. At the exhibition you will see the antique automobiles, motorcycles and an American limousine made in 1935. 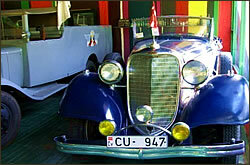 Also you will see the car of Cuba leader Fidel Castro. The parade of antique cars takes place annually and is a highlight of Jurmala. All interested persons have the opportunity to travel back in time and visit the Soviet Country. It's theate play and you will be actors. During this play in Jurmala Villa of General Secretary USSR Leonid Brezhnev you will receive strict instructions from the KGB officer about behavior in the presence of the Secretary-General and the content of the upcoming talks, a walk on State Villa, view interiors of soviet head's cottage, watching film "Daily News" about achievements of the Soviet people, meeting with USSR General Secretary Leonid Ilyich Brezhnev, and personal communication with soviet leader (who wish - will get famous Brezhnev's soul-kiss), lunch in the guests' dining room on special "Soviet" menu. 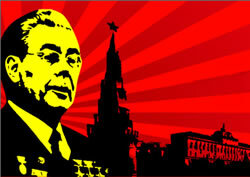 Before visiting "Soviet Party" call and make prior reservation. 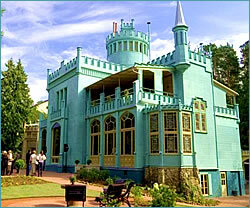 Summer cottage was built in the end of 19th century. Rainis and Aspazija lived here from 1927 till death of poet in 1929. There is personal library, memorial rooms with original interior, documental videos about the life of poets in museum. Rainis’ plays perfomed by Jurmala theatre are offered for the public in the memorial house-museum. A house where famous poetess Aspazija spent last 10 years of her life is located in the narrowest place of Jurmala – in Dubulti, where ar narrow spit of 320 metres divides the river and the sea. 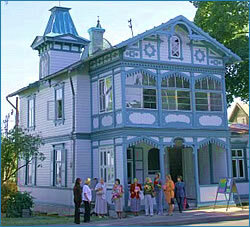 The house is built in 1903 and is a unique sample of wooden architecture. In 1996 House of Aspazia was open for visitors. (7) Art studio and art museum "Inner Light"
Art gallery exposes interesting an original exhibition of works that are made in a unique technique (fluorescent painting effect) – works start to glitter in a special light, and a new picture is exposed to a viewer - a picture that was hidden under the first work. 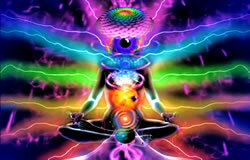 Studio offers art therapy, studio of meditative painting where you can make your own picture in the unique light painting technology, as well as salon shop offering floristic designs and lamps. You can also use services of architect and designer bureau that offers paintings in light painting thechnique on things or in places you chose. Open: daily 12.00 – 17.00, entrance LVL 0.50 – 2.00. The building was built in 1883 and was owned by the biggest contractor, architect and Maecenas Kristaps Morbergs. Cottages are architectural monument of neogothic wooden architecture that got iron sheet decoration in the end of 19th century. The house was widened and improved till 1914. Later it was bequeathed to University of Latvia. Renovation works of buildings and interior were carried out in 2007 to 2008, layout and greenery of 19th century was restored. By the cottage a garden with exotic plants is located. At the moment the house is owned by University of Latvia. More information about the history of cottage, as well as of talents and work heritage of its former owner can be obtained during an excursion in the renovated house. It is possible to organise conferences, workshops for smaller groups, social evenings or receptions there.